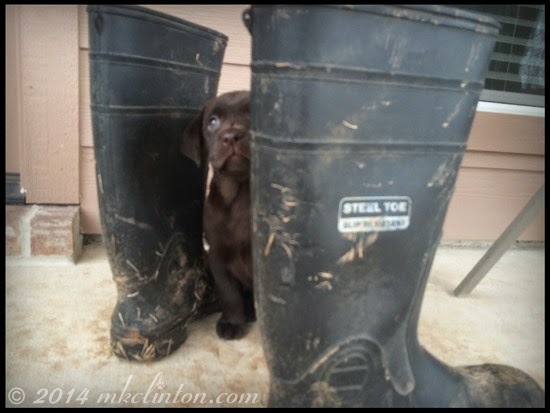 *It’s the weekend and Bentley has commandeered the blog. "Look who it is...Mr. Chewy!" Hey y’all! I just had to tell everyone about how I made a new friend this week. It was just a regular day when I heard the doorbell ring. I trotted over to look out the window and couldn’t believe my eyes! There was a fellow that looked kinda like me and he was standing on a box. 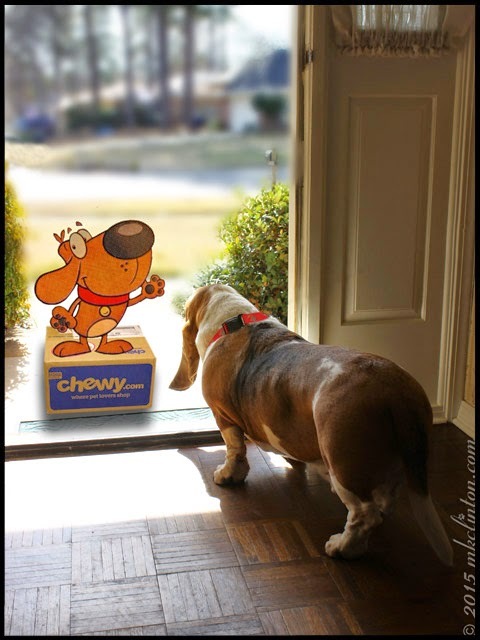 As I went over to open the door, I had the feeling that I’d seen this dog before. I just wasn’t sure where. In my opinion, dogs are pretty close to perfect. Their only fault is that their lifespan is always too short. 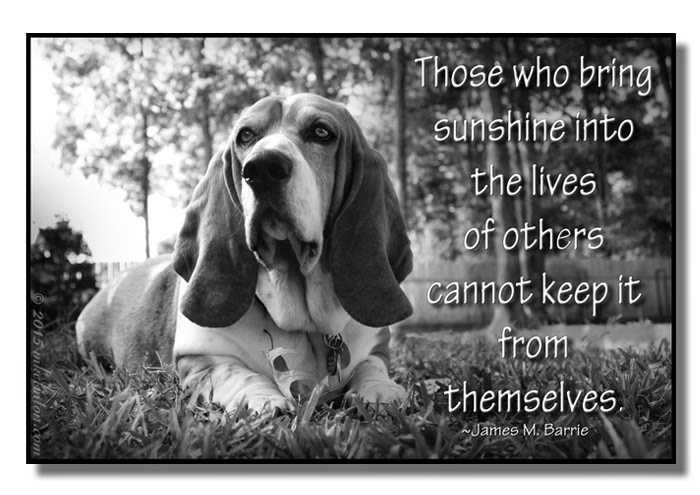 I believe most of us do everything in our power to keep our best friends healthy and happy for as long as possible. We take them to the veterinarian on a regular basis. We select their food with much greater care than our own. Every day we make sure to give them the recommended supplements, see that they get plenty of exercise, and love them unconditionally. 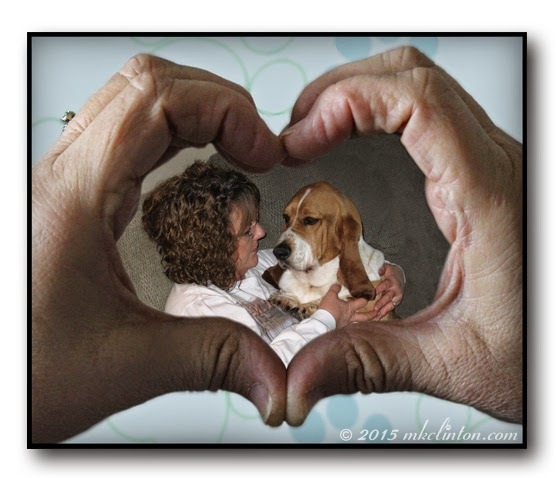 How great would it be if love alone could keep our pets alive? Of course, we know love is not enough, so I am always looking for the “Fountain of Doggie Youth.” Well, just call me Ponce de Melissa, because it seems as if that is just what I’ve discovered. I was introduced to Rejeneril in December. After reading the information on their site and corresponding with the company, I began adding drops to Bentley’s food on January 1st. This is proving to be one of the best decisions that I have made to ensure my boy is living his best life. Have you seen what’s new at PrideBites? They have expanded from their award-winning toys. You can now design your own collars, leashes, and so much more. I have to admit that I have designed at least one of everything they offer. It is fun to play with the assorted patterns and trims. How simple is it to design your own PrideBites collar? 1. Choose the size collar your dog will wear. 2. Select the design of your dreams. You can choose a solid bold or warm color if that’s pup’s style. If you would like to show the fun side, select one of the exciting patterns. 3. Decide on your buckle color from the bold or warm color choices. It is important to be a good pet neighbor. Here are a few dog to dog reminders. 1. Don’t be “that” dog that barks continually. 2. If you must use the neighbor’s yard for a relief station, make sure your human bags the evidence. 3. If you go for a walk, always put your person on a leash. Just click one end to your collar and show them how to hold onto the loopy handle. 4. Never chase cars, bikes, or joggers. They can all turn vicious and hurt you. 5. Neighborhood romances never work out. Don’t be a Mountie. *It's time to nominate your favorite blogs for the BlogPaws Nose-to-Nose Awards. We would be honored to receive a nod from our readers if we make you laugh or smile at our posts or photographs. You can find our information and the different categories here. Thanks so much. Is there anyone that enjoys seeing photos of abused or neglected dogs? We have all seen the ones that I’m talking about today. They are used for shock value and they must work or they wouldn’t keep printing them. I don’t like that type of “in your face” campaigns. I know horrible things are going on in the world. I know that here in the United States 5,500 shelter dogs are going to be killed today. It boggles my mind that in a country as incredible as ours, we allow this to happen. I wanted to write you a letter to say thanks for being such an awesome pal. You always seem to know exactly when I need a hug, a big slobbery kiss, and just a friend to sit with me. I’ve never lied to you about the other dogs. There were six of them before you came dragging your long ears and big feet into my heart. You have touched a part of my soul that I never knew existed. I can actually feel the love for you bubbling up inside. What is it about you that is so special? I could write a book about it. No, wait… I DID write a book about it! Every morning begins with your nose pushing my covers back, so that you can give me kisses. I open my eyes to your grin and there isn’t a better way to start my day. As I stumble out of bed, you roll over for some belly scratches. I lay down on the floor and you put your head on my shoulder while I scratch that always itchy belly of yours. It is one of my favorite parts of the day. Paisley is such a joy to watch play, but I have to admit that she is adorable when she sleeps. I love to watch as she stretches out to dream. 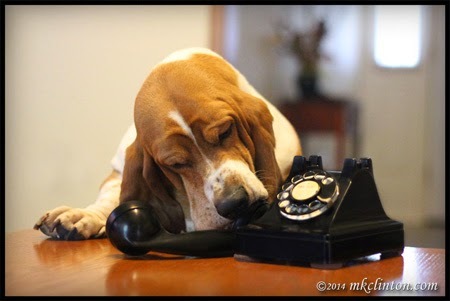 "Hello? Hello? It's me, Bentley." How many times a day do you have this conversation? Your spouse/child: “Did you say something?” You: “I was talking to the dog.” I am not ashamed to say that this scenario is played out between Bentley, Pierre, my husband Skipper, and me several times a day. We both talk to the dogs just like we talk to each other. No squeaky voices, no baby words. We simply speak to them as we would any other member of the family. Does that make us weird? 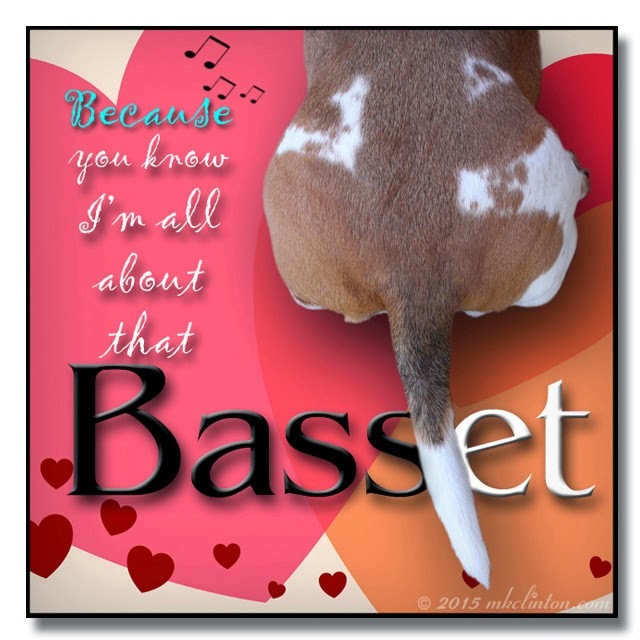 I don’t think so, but then again, I’m the one carrying on conversations with a Basset Hound and a Westie. 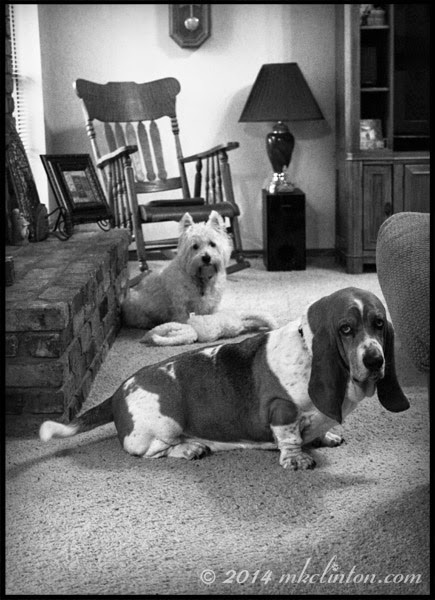 The question is, “Do our dogs communicate with us?” We offer the following proof. *Get your ticket to the 2015 BlogPaws Conference May 28 – 30th in Nashville, TN. Use my discount code BP15-Amb-Melissa-10 to save 10%. Click here to order. **Click here to nominate your favorite blogs in a variety of categories for the prestigious BlogPaws Nose-to-Nose Awards. 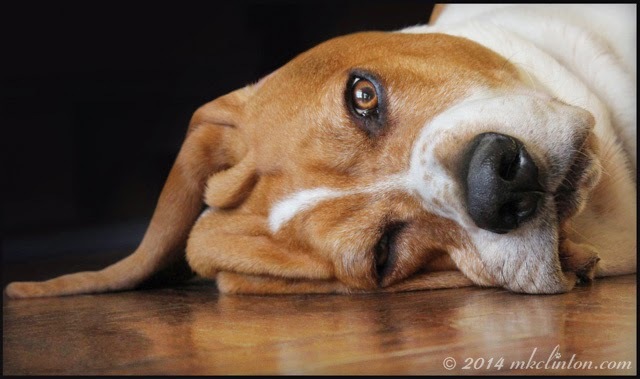 ***The easiest way to keep up with everything going on at BlogPaws, (and there’s a lot!) 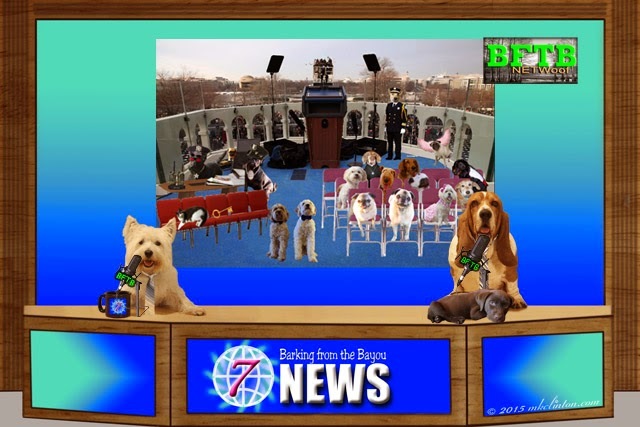 is to sign-up for the BlogPaws Newsletter. So simple, so easy, so click here! 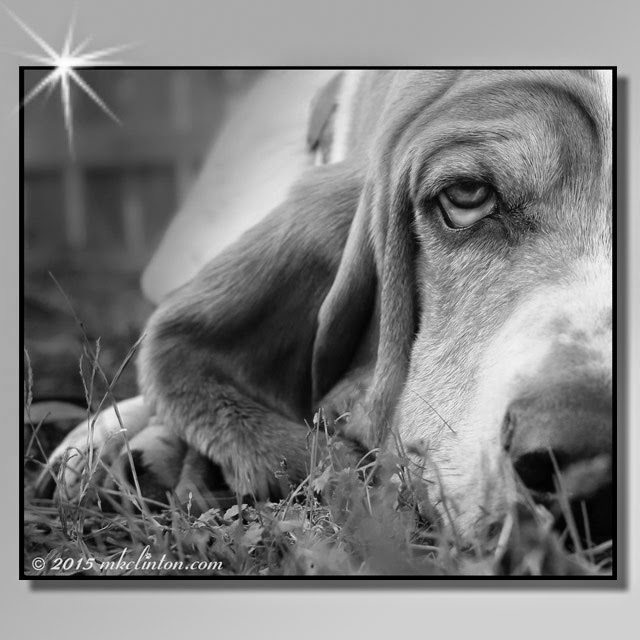 We are joining the BlogPaws Community for Wordless Wednesday. Visit other participating blogs by clicking on their sites below. on most days. If you aren’t in the blogging business, you may not have any idea exactly what a blog is or how it works. New bloggers may also have questions about blog hops and the purpose they serve. I hope this post clears up some of those questions. If not, don’t hesitate to ask me in the comments. 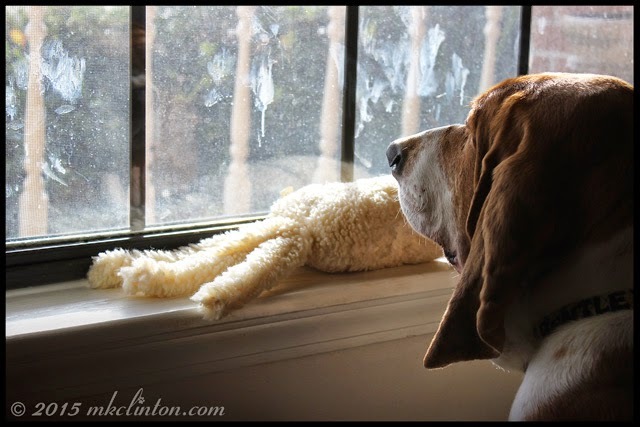 His favorite toy, his nose art, and his Basset level window to the world. If you have watched television over the last month, then you probably know it is the beginning of the awards season. I love award shows with the exception of the MTV awards, because they make me feel really old. I’m a big fan of the Emmys, the Oscars, People’s Choice, and the Hero Dog Awards! I watch them all and usually end up crying at the acceptance speeches. Bentley was curled up beside me as I cried through the first World Dog Awards show last night. Some of the rescue stories were incredibly moving. It was not a sad show though and several parts made me laugh. I think the show was a wonderful endorsement for shelter pets. We even knew nominee Tillman the Skateboarding Dog from last year’s BlogPaws conference! I won’t say who won in case you haven’t watched it. 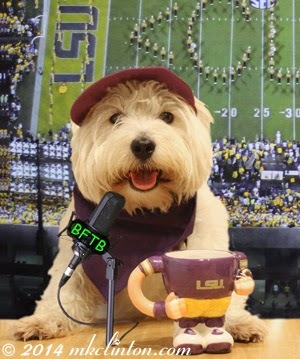 The boys will have a run-down on the show this Monday for BFTB NETWoof News. Our friend Sugar the Golden Retriever’s mom was one of fifteen members of the press and the only dog blogger invited to attend the show! You can read her backstage experience here. It sounds like she had a great time. Do you ever watch award shows and think how cool it would be to attend one in person? Do you wonder how it would feel to be an actual nominee? I think that most of us have had such visions of grandeur. At least, I hope it’s not just me. 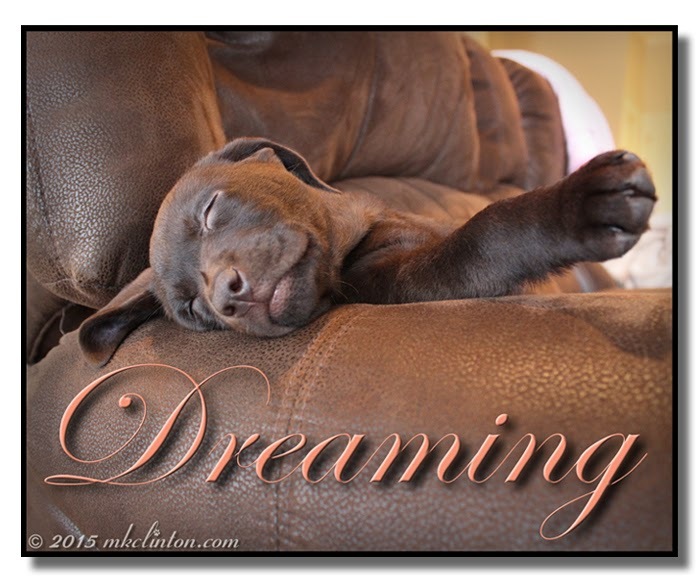 Let BlogPaws make your dream come true! The nominations are open for the most prestigious awards ceremony in the entire pet blogosphere! This is football fans favorite time of the year. It has already been exciting with the first National College Playoff Championship. The next big unofficial American sports holiday is Super Bowl Sunday. People have parties planned with enough food to feed an army and enough drinks to float a ship. There will streamers, balloons, and big foam fingers. Bets can be placed; some dreams will made, and others crushed. Loyal fans are ready to cheer for their team. The question on everyone’s lips is the same; “Are you Team Dog or Team Cat?” That’s right; it’s almost time for Super Bowl Sunday Kitten Bowl. It airs February 1, 2015 on the Hallmark channel. As usual, all of the talk is about this year’s “can’t miss” Bowl commercial. . The biggest Bowl commercial this year may be #TheLucyBowl on Kitten Bowl! The commercial is going to change the way that you feel about your pets. You don’t want to be the only person at work on Monday that missed it! You can help spread the word about the commercial and enter for a chance to win some great prizes. The Lucy Foundation is giving away two iPads Minis with #TeamDog or #TeamCat Pet Jerseys, and four #TeamDog or #TeamCat sports packs! Flat Bentley with the Hill's Pets representatives' Flat Pets. 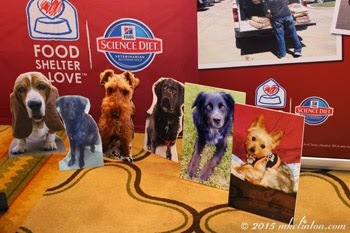 One of the great things about the BlogPaws conference is that it is a pet-friendly event. 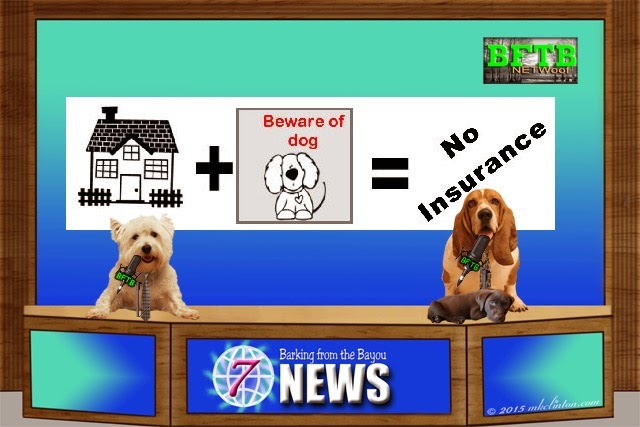 Deciding whether to bring your pet to the three-day event is sometimes difficult. You need to ask yourself if they are well behaved in crowds, around other animals, and can you control them while attending sessions. I must say last year’s pets were all on their best behavior. Since we were flying to the conference, we knew Bentley wasn’t joining us. He will NOT travel in cargo. As we have discussed before; cargo has no snack or beverage cart, no in-flight movie, no micro-toilet, and no Basset Hound! He passed the “cabin-size” requirements about 30 pounds ago. I started feeling sad that all of these other cool dogs and cats would be there and I wouldn’t have Bentley. I turned to BlogPaws for the answer. Quite a few people that couldn’t travel with their pets had bought or made something called a “Flat Pet.” What in the world is a Flat Pet? I’m so glad that you asked. I try very hard not to be a pack rat. (No offense to my rat friends) One episode of hoarders and I am cleaning closets. There are certain things that I will never part with and many of those things belonged to my grandmother. She passed away when I was young, but I remember her and cherish those memories. One of the main things I used to love was listening to her play the piano and the organ. 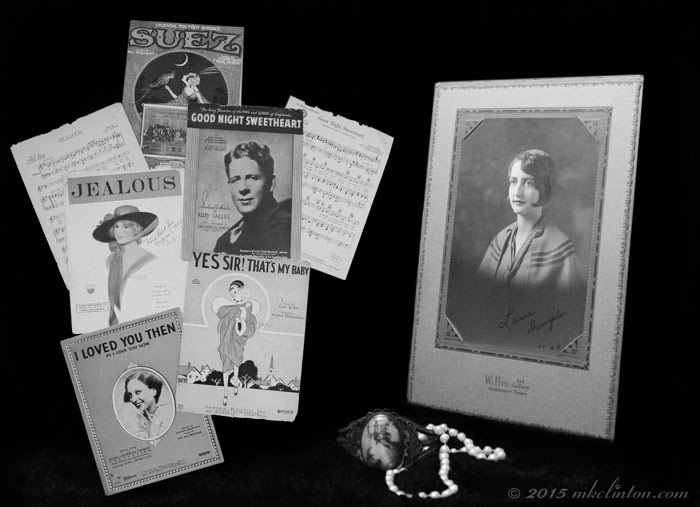 I am glad to have some of her sheet music. We have framed several pieces, but these are some of the others that I think are really cool. 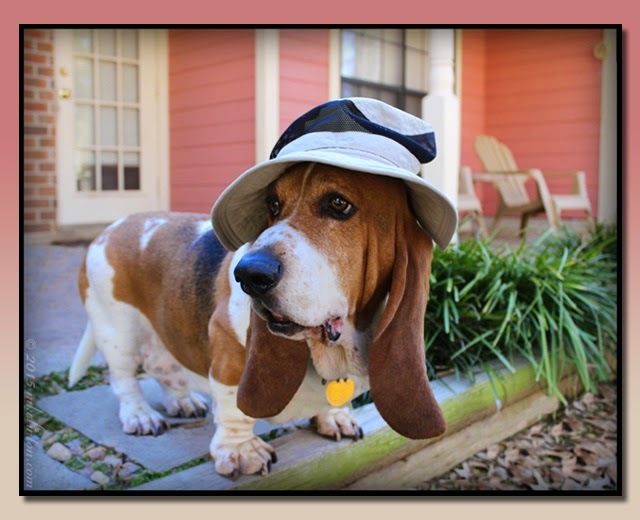 I am joining with pet bloggers everywhere for the fifth annual Pet Bloggers Challenge. This is our second year to participate and we excited to learn more about our favorite bloggers. We are challenged to answer ten questions that are supplied. 1. How long have you been blogging? And, for anyone stopping by for the first time, please give us a quick description of what your blog is about. 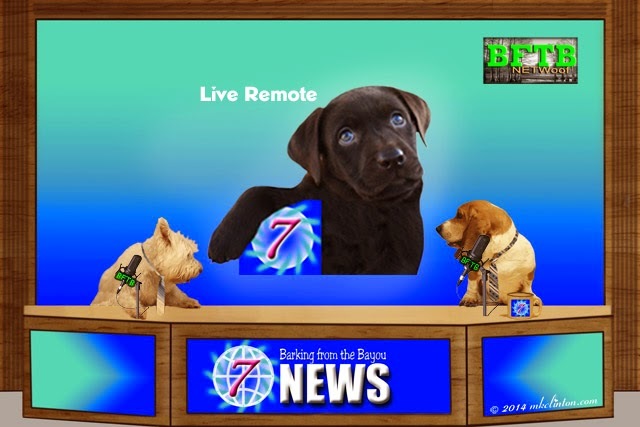 Barking from the Bayou celebrated its first anniversary on Dec. 3, 2014. 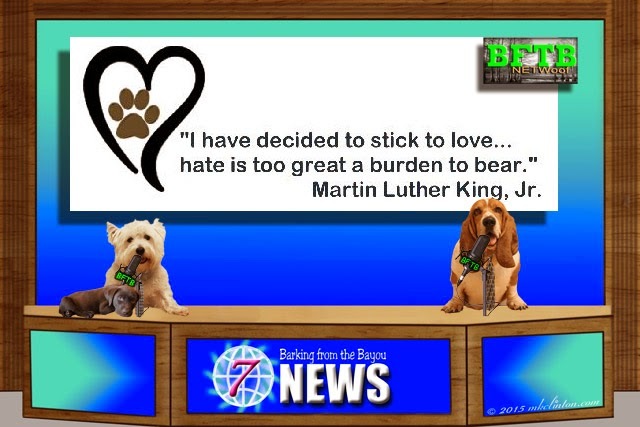 We share our reviews of pet products, report the pet world news on Monday’s BFTB NETWoof News, share funny stories, and leave you a little happier than when you arrived. There are a gazillion human excuses to avoid taking walks. 3. It’s spring allergy season. 4. It’s fall with the flu season. 7. I have to cook dinner. 8. There are so many other people out walking. I hate having to stop and talk. 9. Isn't there a smog alert? 10. Let me check Pinterest for just a minute. As we begin a new year, I wanted to make sure that I didn’t have any things left unsaid from 2014. Actually, I wanted to make sure that I had said thank you to all of the blogs where we have won some wonderful prizes. If you follow me on a regular basis (and I hope that you do), you know I love to enter contests. What I usually do when a prize is delivered is set it on the guest bed and leave it there until we take the appropriate photos. This is a great system…usually. In the case of a couple of these great items, they were not put on the “To be photo’d” bed pile. That’s because they were put aside for special purposes. I’ll explain as I show you my treasures. 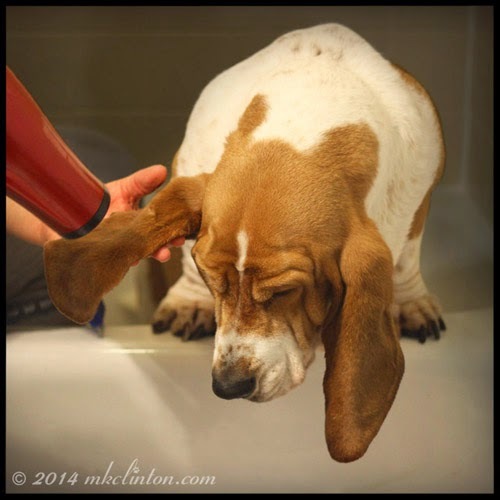 Long-eared dogs need to keep their ears dry to avoid yeast infections. Health and fitness go hand-in-paw. *Bentley leans over and whispers into Pierre’s ear. *Bentley leans over and once again whispers into Pierre’s ear. Pierre: “Okay, so it's not the Saints either. Maybe next year guys. Until then; Two bits, four bits, six bits, a dollar all for Team Dog stand up and howler! WooHoo! Cats don’t drool, dogs RULE! It's our first live remote with Paisley. It's all fun and games until someone steals my Slappy toy. If you are a pet parent, chances are that you have played the “Bowl Game.” We have a stack of food/water bowls that we no longer use. The main reason we don’t use them is that we have changed dog breeds. What we used with our German Shepherds and Golden Retriever wouldn’t work for our miniature Schnauzer. Pierre can and does use the same bowl our Schnauzer did. None of those bowls are appropriate for Bentley. Why? What makes him so different? It is all about those ears. Bentley and Tucker, our Golden both drank water from a straight-sided bowl. Bentley’s ears would dip into the water and he’d walk away leaving a water trail. He now has the steep sided bowls and his long ears drape over the edges. Now he walks away with dry ears. Okay, he still trails water from his jowls, but his ears are DRY! Well, we have made it through another year and greet a new one with high hopes. Things have changed so much for us here on the bayou over the past 365 days! Just like each year, things will change even more in 2015. Our wish for you is that each change is positive and makes you happier. One of the ways that we try to ensure a wonderful New Year is to eat a traditional New Year’s Day dinner. There are certain foods that we eat religiously here in the south on January 1st. In case you aren’t familiar, let me explain. In order to have a terrific 2015, I cook a ham for progress, a huge pot of black-eyed peas with ham hocks for good luck and two heads of cabbage for money. That is served with pans of fresh baked cornbread. For desert, we have icebox lemon pie. It is my husband’s favorite and is super easy. I cannot guarantee this meal to magically change your year, but it is delicious and why take the chance? Here is the Lemon Pie recipe for you.